We are proud to bring to you the latest gourmet delight from Tasmania. 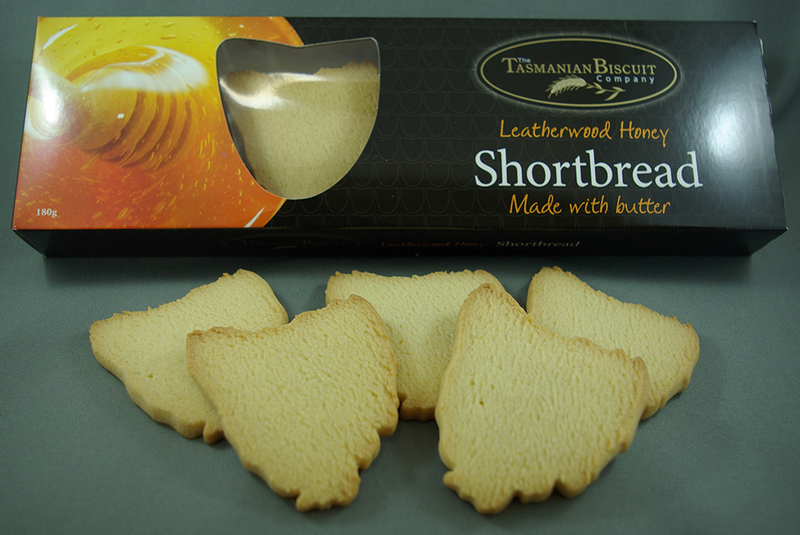 These delicious premium shortbread biscuits are sure to excite the taste buds of everyone who tries them. Made with creamy butter these biscuits are firm and a little crunchy. Added to this delicious biscuit is World Famous Leatherwood Honey. This unique honey with a spicy flavour is the taste of Tasmania’s wilderness and gives these biscuits an unmistakable yet subtle flavour. Give one a try, you won’t believe how nice they are!